A new Far East/Middle Asia sensation Quadratillo Abduqaxorov entered a quad damage mode in his fight against WBC Silver welterweight champion Charles Manyuchi, stopping the titlist with four seconds left in the first round. Alexander Shah of Cartel Promotions staged the event in Singapore on Saturday. It was short but it wasn’t easy for the Uzbek fighter, who started his career in Uzbekistan for a later relocation to Singapore. 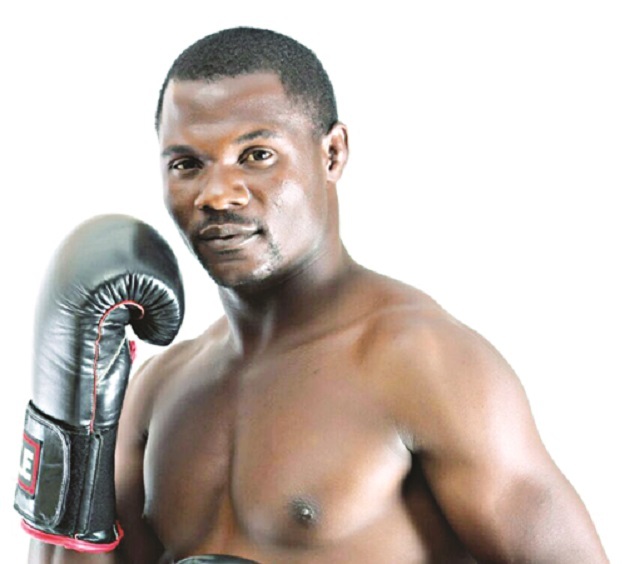 Manyuchi (27) a highly unorthodox Zimbabwean fighter, used his trademark wild style, attacking with wide hooks and swings, boxing with his hands down and clowning with some movements from repertoire of famed ring jester Emanuel Augustus. He was landing some big shots on the Uzbek, but late in the first Quadratillo (23), iced overconfident Manyuchi with a smashing left hook, followed by a right hand (after a few more punches) that sent Manyuchi down. He went down again on his way up but managed to get into an upright position in time. It was too late thought, as Abduqaxorov jumped on him for yet another heavy knockdown and a subsequent stoppage. Manyuchi (now 20-3-1, 12 KOs) was riding an impressive streak with wins over previously undefeated contender Patrick Allotey (30-0) and Dmitry Mikhailenko (21-0). He was also rated WBC number3, WBA number 6 and IBF number 7 at the welterweight limit. Up-and-coming Abduqaxorov improves his record to 11-0, 8 KOs. Abduqaxorov’s compatriot with almost similar surname Azizbek Abdugofurov (6-0, 4 KOs) was forced to go the distance for the second consecutive time. Abdugofurov, who has previously defeated 91-2 former champion Sirimongkol Singwancha, was forced to worked hard against Argentinean import Martin Fidel Rios (21-11-2, 11 KOs) but ultimately cruised to confident win over ten rounds. Scores were: 98-92, 98-92, and 97-93. Former IBO featherweight and IBO lightweight titleholder Daud “Cino” Yordan, who is best known for his losses to Celestino Caballero and Chris John as well as for No Contest against Robert Guerrero, continued his ride of glory with a quick demolition of Thai Campee Phayom (11-3, 7 KOs) in two rounds. Yordan, still just 29, is now 37-3, 25 KOs.